Dr. Schnuffie’s GET WELL supports the immune system. Specific nutrients, safely and strongly dosed for efficacy, are backed by extensive scientific research. They help the immune system fight viruses that cause colds and the flu. Colds and the flu are respiratory tract infections caused by viruses. Viral infections do not respond to antibiotics, which are used for bacterial infections. Nasal congestion, cough, sneezing, sore throat and fever along with fatigue and body aches are typical. There is a niche for a high potency, targeted, economical formula supported by science to help prevent and reduce the duration and severity of colds and the flu. Dr. Schnuffie’s GET WELL is simple. It consists of 3 vitamins -- A, D, and C -- and one mineral -- zinc -- all dosed strongly for efficacy. Plus a proprietary combination of 5 time tested and well studied immune-supportive herbs. The combination of vitamins D and A provides robust immune system support. Vitamin D up-regulates genetic expression of powerful immune system proteins -- cathelicidins and beta defensins, with strong activity against viruses. Vitamin A is essential for production of secretory IgA, a key immune system protein in the mucosal tissues of the respiratory tract. It inactivates viruses. Also, infections can lower your vitamin A levels. If your zinc is low, you may have trouble fighting off colds. Supplemental zinc helps reduce the severity and duration of colds. Many people have suboptimal body levels of vitamins D and A and zinc due to poor absorption and food choices. Vitamin C kills viruses and kill and inhibit bacteria growth. We need more vitamin C during infection. Finnish research shows vitamin C prevents and shorten colds. 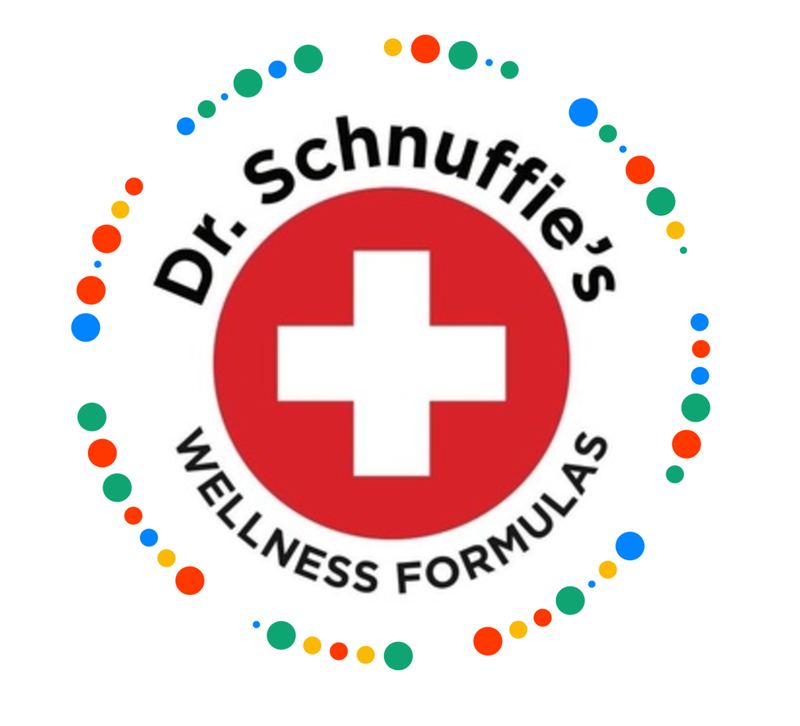 Dr. Schnuffie’s GET WELL focuses on safe, higher doses of Vitamins D and A, which act together as companion nutrients. Many have trouble turning carotenoid pre-vitamin A forms in fruits and vegetables to the activated retinoid form. Zinc is in a well absorbed citrate form. Vitamin C is provided in a well-tolerated non-acidic form. Dr. Schnuffie’s GET WELL is a novel, high potency immune support supplement designed to help prevent and reduce the duration and severity colds and the flu. Each of its ingredients has robust research behind it. It is reasonably priced and manufactured by an FDA certified supplement manufacturer in New York State.